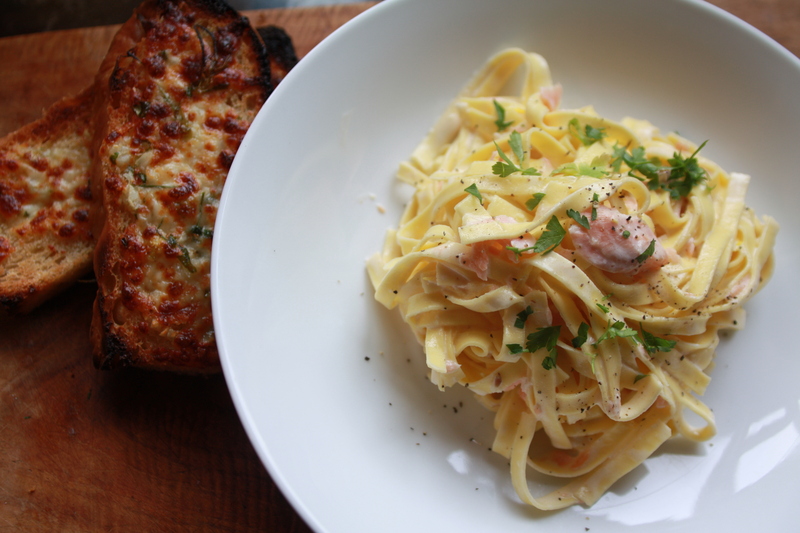 With my hot smoked trout, I wanted to come up with a delicious pasta for our supper to do the fish justice. 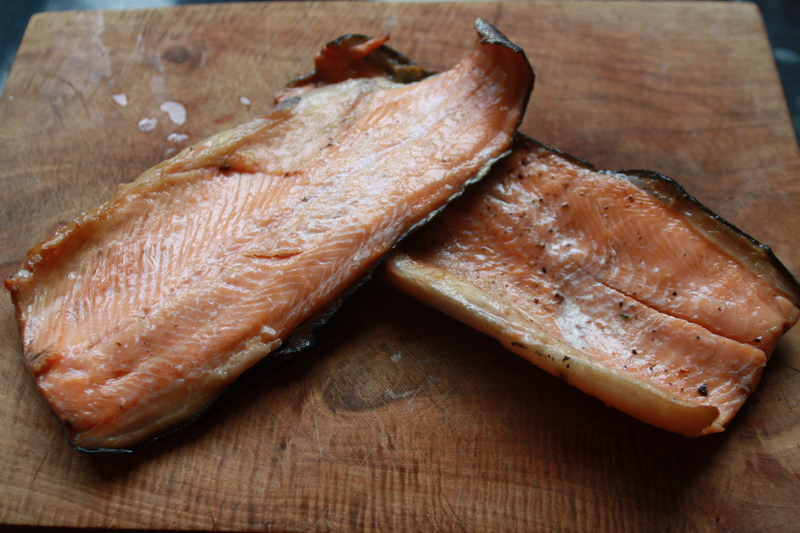 Gently sweat a couple of finely chopped garlic cloves in a large pan, add the zest of a finely grated unwaxed lemon and the flakes of smoked fish, you can use hot or cold smoked salmon or trout. Add a good few table spoons of creme fraiche. Meanwhile add some fresh egg tagliatelle to boiling salted water and cook until al dente, drain and add to the creamy fish, add plenty of freshly cracked black pepper, and a sprinkle of finely chopped flat leaf parsley and a little finely grated parmesan.